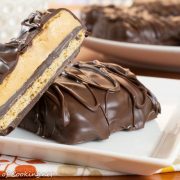 Oh my… These peanut butter chocolate graham sandwiches are swoon worthy and so decadently delicious! I saw a recipe for these little beauties on Let’s Dish Recipes that I couldn’t resist and I knew my kids would be thrilled to have them for their school lunch treat this week. 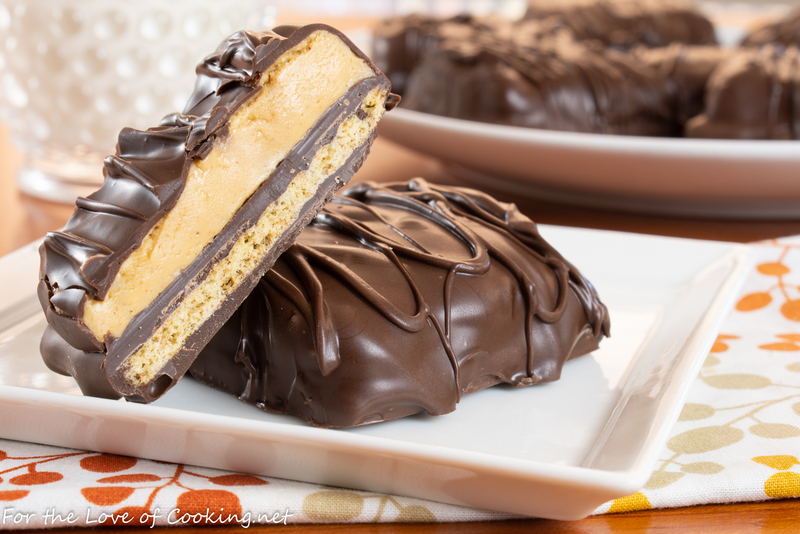 What’s not to love about chocolate dipped graham crackers topped with a sweetened peanut butter layer then dipped in dark chocolate? So fun to make and SO delicious to eat! Melt half of the dark chocolate candy melts in a bowl in the microwave, heating for a 30 second increment, then stirring, and repeating by 15 second increments until nearly melted. Stir until completely smooth and fully melted. Don’t overcook! 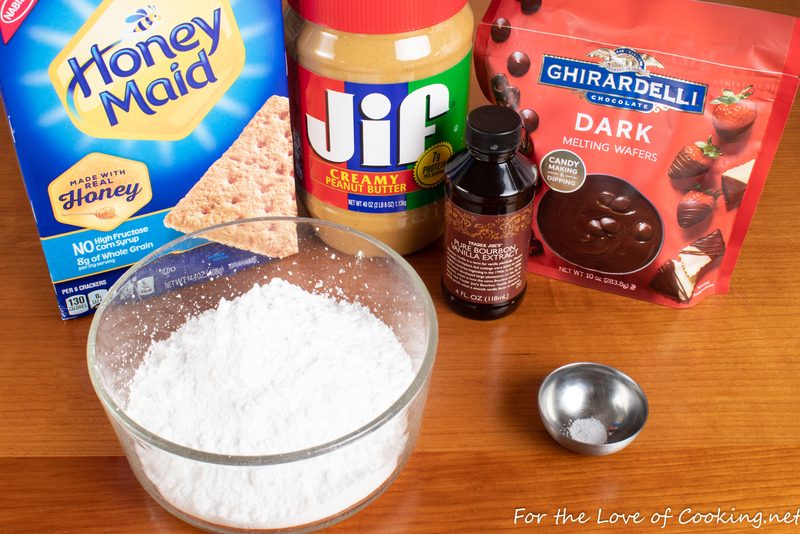 Prepare the peanut butter mixture by combining the powdered sugar, peanut butter, vanilla extract, and salt together in a large bowl. Beat with a hand mixer until well combined. It will be very thick and fairly dry. You may need to use your hands to finish mixing it. 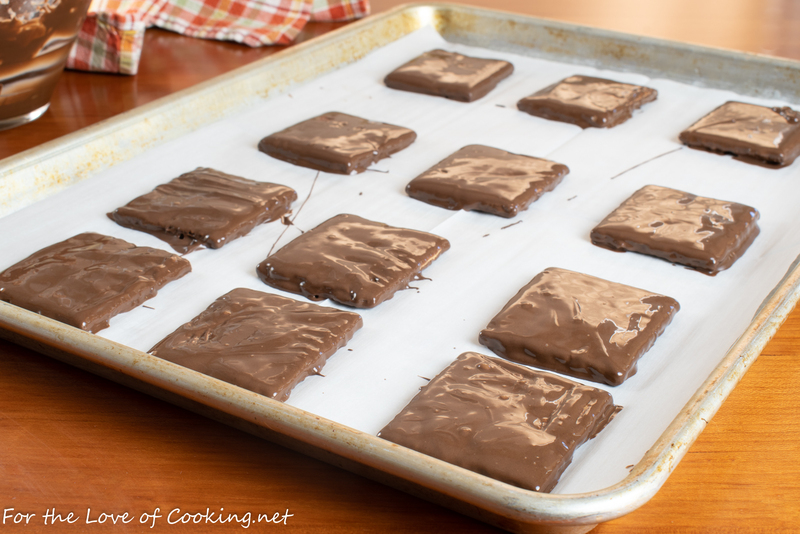 Evenly distribute the peanut butter mixture on top of the chocolate covered graham crackers. Use your hands to spread and flatten the mixture evenly over the top of the crackers to the edge. Melt the remaining half of the dark chocolate candy melts in a bowl in the microwave, heating for a 30 second increment, then stirring, and repeating by 15 second increments until nearly melted. Stir until completely smooth and fully melted. Don’t overcook! 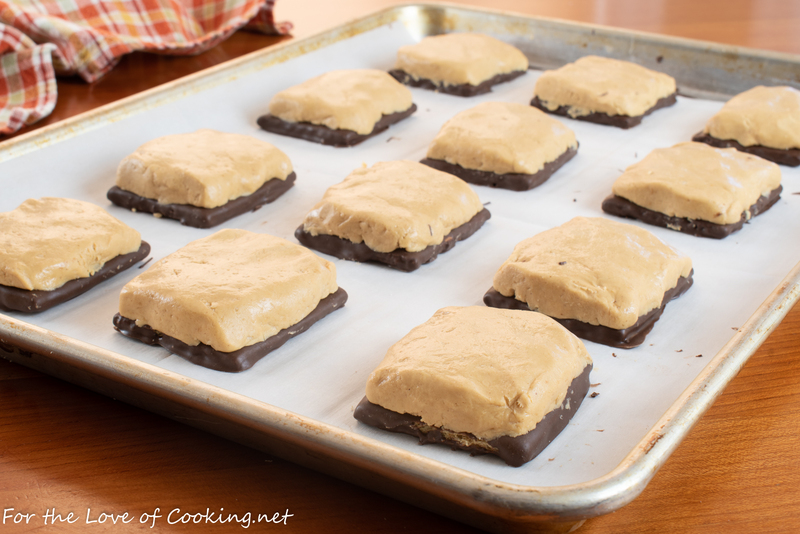 Dip the peanut butter crackers (peanut butter side down) until fully coated. 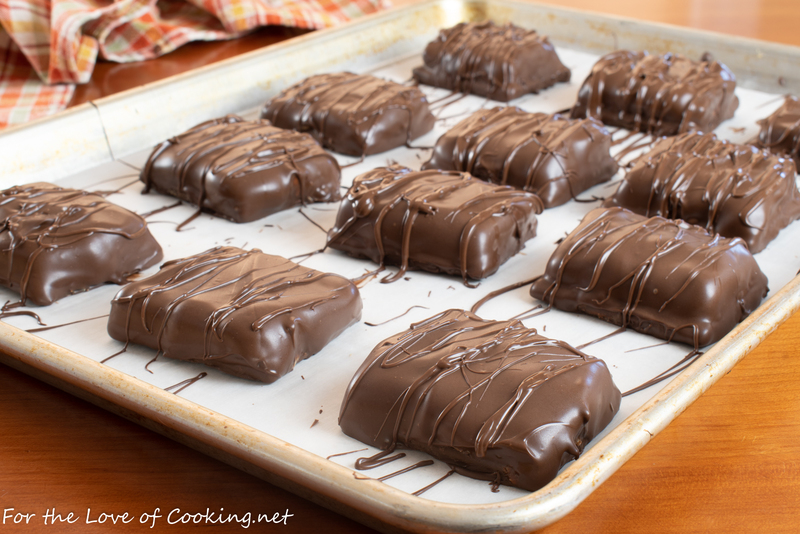 Gently shake off excess chocolate then place back on top of the lined baking sheet and repeat with the remaining peanut butter crackers. Drizzle a spoonful of melted chocolate over the top of all the dipped peanut butter chocolate graham sandwiches to make them look extra pretty, if desired. Place in the refrigerator for 15 minutes. Serve and enjoy! Store layered in parchment paper in a sealed container in the refrigerator. Place in the refrigerator for 15 minutes. Serve and enjoy! Store layered in parchment paper in a sealed container in the refrigerator. wow Pam!! loks delicious Im absolutely hungry !!! wonderful!! I bet these were a big hit. They look easy to make also. These look awesome! And I love that they don’t require any actual baking – so easy.